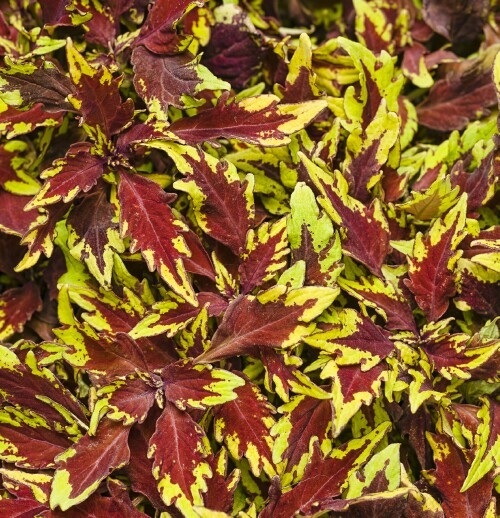 Beautiful maroon red leaves with luminescent chartreuse to yellow margins. Heat tolerant compact, well branched plants work well in landscapes and containers. Plant in sun or shade.